Milkbone, a famous brand of Pet food in the USA is currently running a number of very strong promotional product offers for its clients. Whilst its Gift With Purchase (GWP) promos are strongly pushing sales, clients can also buy/redeem additional items through the website via a Purchase with Purchase mechanism (PWP). 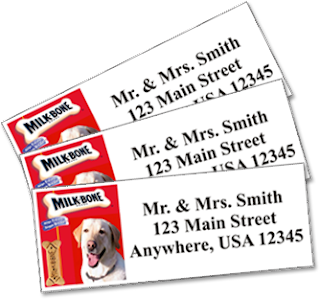 Custom Mailing Labels: Excellent items to have around the house or office. Put these mailing labels on your valuables or give them to friends, family. Give to your children in a hope they will write more often. 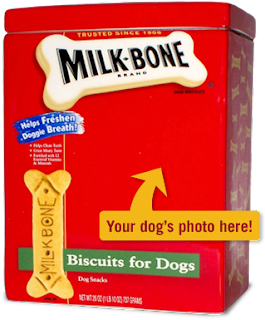 Custom Milkbone Box: How about customising the box for your dogs food with his picture. This takes food packaging to the next level, one which most food brands do not even offer for adults. Bravo !! 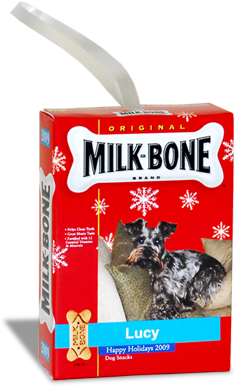 Promotional Leash for dogs: Always an excellent promotional gift for dogs. 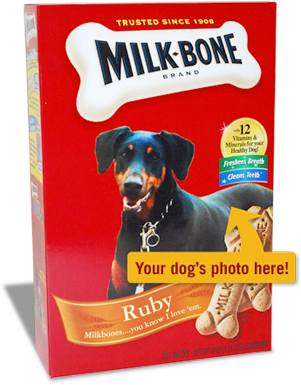 This one offers excellent advertising for the Milkbone Brand. Promo Cookie Jar: Different from the previous box, this is a metal cookie jar that can be used long term. Promotional Christmas ornaments: These are excellent promotional gifts for Christmas. Maybe not the traditional type of product you would expect to find on your tree in December. This type of promotion is quite popular this year. 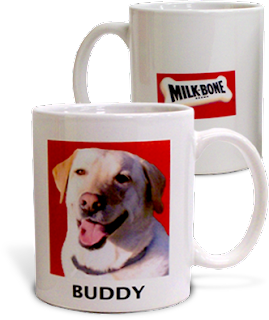 Promo Coffee Mugs: Custom Drinking Cups are very popular promotional products. Offering customers the chance to co-brand the mugs with Milkbone & your pets photo is an excellent option. What other Pet Related Promotional Products have grabbed your attention recently. Write to us on Post@PromoGiftBlog.com and get your story featured. Visit the Milkbone website for more information.